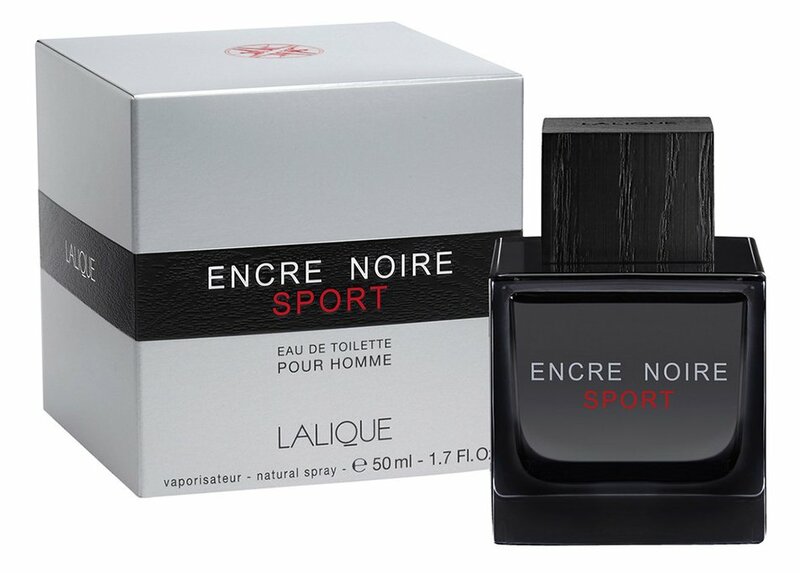 Encre Noire Sport is a popular perfume by Lalique for men and was released in 2013. The scent is woody-fresh. It is being marketed by Lalique Group / Art & Fragrance. Inspired by the very benevolent comments, I got myself a 10 ml. Bottling ordered. How good that I did not let myself be carried away to a blind purchase, because this smell and I do not find to each other. I like woody scents a lot, but I don't have any warmth here. Wouldn't be a problem, but unfortunately the expected freshness is also missing. There is freshness, but not what I associate with fragrant freshness. Although I don't (yet) know Encre Noire, I think I know what some people mean by musty or gothic when they describe the original scent. Is of course pure projection, but subliminal in my nose here some of it resonates. I can confirm what one of the prescribers called "ice-cold Sillage". Completely unapproachable this smell, radiates for me only: "don't come too close to me". There may be situations in which this is quite intentional. and I love green scents. Only there's none of it in ENS for my nose. Forest, undergrowth ? No, rather a long abandoned and permitted swimming pool in a damp grass garden. I guess those are the aquatic notes. If I had to name a color, it'd be a gray with a hint of turquoise. Funnily enough, the liquid in the nebulizer looks the same. A frequently mentioned and in my opinion very negative attribute I can't deny myself at this point: I haven't tested any fragrance that seemed more synthetic to me I am aware that there are many lovers of this fragrance, at this point my nose is obviously knitted differently. What I like and what speaks for the fragrance is that it is unique in my not yet very great fragrance experience. I always like that. What I can't understand is a development in the fragrance pyramid. There is hardly any development happening with me, it starts and ends very similarly. The durability is very good for my skin with 8 hours and also the Sillage seems to be big enough to me. It's very difficult or impossible to judge alone. Maybe you'll ask me why I give the scent a six after all. He's not as bad as the words I use to describe him. I do not want to rewrite, find everything appropriate, perhaps a small idea too negatively formulated. I can also imagine that other noses appreciate the uniqueness and cope well with the scent. Please note that I haven’t smelled the original and the extreme version. I can’t compare the sport version to either of them as of yet. This was a blind buy for me. I wanted to try Encre Noire but was a bit hesitant considering that I live in a tropical country. Encre Noire Sport was most likely the safest way to go. The opening is citrusy. The scent is dark but fresh, earthy and woody. I’d have to agree that this smells like a damp forest. I have worn this in the high heat and found it to work well. I didn’t find it to be heavy at all. I haven’t received any compliments or complaints regarding the scent. I often wear this to work, in an office setting. I sometimes wear it as well before I go to sleep. Just as a sample, thank you very much, dear Kitho! I still remembered EN, knew I was disappointed. About the restrained muted, what some describe as musty, or one could also describe it as cold, dark and moist. And I was also disappointed about the lack of strength, about the weak SIllage that you often have to top up. Here everything different from the bad, weak attributes, but the trademark just so: BÄÄNG. (?) just read the sentence again, terrible, but there is no correct spelling. Very strong mint. It really clears the nose and enters an area where perfume stops and homeopathy/pharmacy begins. Its intensity is reminiscent of Japanese essential oils containing eucalyptus. However it 'works' here minzig. The above hint at Fisherman's Friend is very apt. This is the bright, rugged clearing in the coniferous forest, it breaks light through the clouds and from the last storm whole aisles of the conifers have broken down. It's very rugged, very cold, very original The picture is -about a perfume- for me uniquely represented as by ENS. But I find it difficult to see the details hidden underneath. The Sillage radiates an ice-cold but natural distance, so I can imagine wearing it to work as well. I'll complete the rest of the process later if I make it. Whether the course is still particularly tricky, or rather remains the same? Absolutely smashing, grandiose further development, young milestone, pop art thunderstorm. Not a subtle sculpture. It's a sniffing water brushed on a dignified riot. Maybe an "adult degree" will never be recognized to him. But, you know, bang! I could have bet there's mint in here, lots of mint! ;-) But once again, no sign of my nose being reliable. After all, other plants also contain menthol, such as lavender, and the cypress contains at least camphor-like compounds. Either way, ENS reminds me in its DNA of the sucking candy mentioned in the headline. I find the howdrum actually quite great, because here a completely different form of a sports fragrance comes along and the freshness elements contained primarily in the top note last extremely long. I never dared to approach the original version of Encre Noir because I thought it was too earthy, too gloomy and too musty for me. But maybe I should still make a blind purchase (because it's hard to get at Dounglas & Co.)? The sports version may not work for pampered perfume gourmets, because this is a rather boldly composed fragrance that scores with uniqueness. And since I always act according to the motto "like / don't like" regardless of price and rating, there's a thumb up for ENS from me! I blind bought Encre Noire and EN Sport, not knowing what the combo of inky and rooty Bourbon and Haiti vetiver roots smell like. While EN is so damn harsh like the pure raw extract of the bitter vetiver root, EN Sport is similar to a black forest. If you think Encre Noire is such a good stuff, yet too heavy, gothic, gloomy and unwholesome for wearing during warm and hot summer days, then EN Sport is bold on its own and it's the right answer to your hopes. Please, stop me if you think you've heard this one before. Oh man, Mrs. Nathalie Lorson did it again, she magically stripped the mysterious black ink from all its darker edges and draped it with more fresh and bright tones driven by the codes of Sport. To begin with, Sport is a real flanker of Encre Noire. The black inky and rooty vetiver D.N.A. is still there, luckily, which makes this scent recognizable since the very first sniff, even if you keep your eyes closed, yet it's tamer and much easier to wear than the original. The squared bottle and the wooden cap are pretty the same, yet the juice is dark green like an emerald and visible through the transparent glass. Sport opens up with a burst of energizing citrus fruits such as drops of sour grapefruit and powdery bergamot respectively, boosted by a rousing wind of cypress and subtly aromatic lavender. EN Sport opens up to sunlight, it is so damn easy and bright, not too zesty, with the vetiver roots beating and kicking for taking the foreground position. Then comes the heart, which reveals an original aquatic accord splashed with spicy-sweet nutmeg. The heart breathes freshness and introduces two varieties of vetiver: the mild, grassy, and leathery Vetiver Bourbon and the mysterious, heavy, vividly smoky Vetiver Haiti. The top citrus and hearth aquatic elements are most notable in the first hour, and while the aquatic aspect hangs around a bit longer than the citrus, this ultimately dries down to just a lighter version of Encre Noire. To my nose, the ozonic/watery accord is not too overpowering, in general, I like it, though it can get annoying and feel very synthetic when there's too much of it, for instance in Bvlgari Aqva Marine. In the base notes, musk and Cashmere wood seal the olfactive imprint of Encre Noire Sport. The warm woody base notes wrap and balance the top and middle and impart a clean, grounded energy, while the vetiver roots keep on going in the background. Still, Encre Noire Sport's not bad at all, and there are times when I really enjoy it. For those who love Encre Noire, this is a plausible alternative during those hot summer months when the original seems too heavy to wear outside. It is a nice take on the original Encre Noire, retaining the earthy and smoky character but in a lighter version. It's a compliment getter, women seem to really like it. Ideal for the modern man, not for teenagers.the vetiver is dominating but clean and inoffensive. Performance is very good, on my skin with eight sprays I got more than 8 hours of longevity, with moderate projection and sillage. Not for everyone, but fragrance collectors and niche lovers will love it. The first flanker for the very successful original Encre Noire, keeps the identifiable dna with "sport" added via citrus and aquatic notes. Is it as good, different, better or worse? I found very odd when i saw the announcement of this Lailique launch, after all the last thing that i expected from Encre Noir was a sport flanker of its dry, mineral and inky vetiver. But a fragrance can work in favor or against a concept, even an overused concept like the sport fragrances. Luckly, in Encre Noire case it works very well, keeping the fragrance core, the woody vetiver aroma, but making the more citrus at the opening. It's interesting that the Sport version also seems more complex, less loaded in vetiver and iso e super and with a wider range of notes. I was afraid of the acquatic nuance, but it doesn't dominate the creation, it seems to mimick more the humid and acquatic nuance of natural vetiver oil that when you smell makes you think of a pond. I notice this nuance very quickly at the opening, which leads to a bitter and astringent citrus which is combined with a nutmeg note, producing for a quick moment a resemblance with Guerlain Vetiver. After this fase, which goes from the opening to the herat, the Encre Noire base becomes more complex, with a green and bitter cypress mixed with the usual mineral aroma, a driest woody vetiver and a musky and nutty impression, which i think it comes from the cashmeran. If Lalique's main purpose was creating a fresh fragrance, with personality and keeping the identity of the original, the achieved it perfectly. Encre Noire is quite a rough guy within the group of vetiver colognes. It gets lots of attention but I couldn't handle its characteristic ink-like admixture which I suppose goes back to the use of cashmere wood. Completely different, however, is Encre Noire Sport. Here, “Sport” stands for a lighter style that wants to please and thus has to avoid eccentric shapes. All too often the dark, green fragrance note vetiver is the base of ambitious fougères with a firm profile. In my opinion, we should also pay attention to the lighter interpretations. The few examples show that a simple cologne gets a special alignment if this magic note is involved. 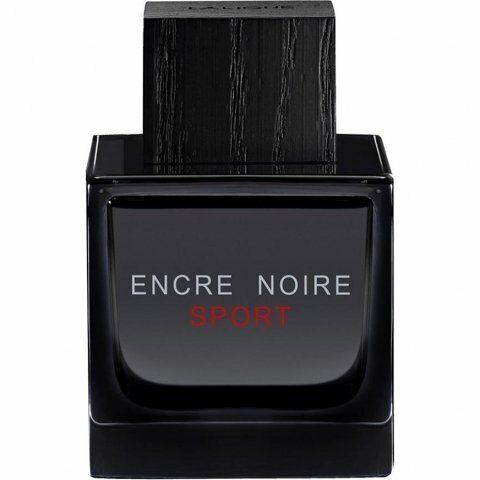 In case of Encre Noire Sport the first thing we encounter is a well-done bergamot and graprefruit accord that really suits a “Sport” fragrance. I noticed that this notes complex was fine, harmonic and well-balanced. The unpleasant synthetic appeal of many other sport colognes was missing. It wasn't distinctly aquatic either. Approaching the base, a rather dry, transparent and puristic vetiver note appears which darkens it in a pleasant way. I don't find it appropriate to describe Encre Noire Sport in the sense of a three-step, complex scent development. This would be beyond the limits of this nice cologne. Sport fragrances as such are candidates for the warmer seasons. Many a fragrance lover, however, would see vetiver located in winter. The light, citric colognes and the sports fragrances let images of sunny days appear in our minds. But a transparent vetiver note like in EN Sport incorporates the cool shadow that a a roof of green leaves or chilly masonry may provide on such a day. I do not want to miss this aspect of summer. Let's take a look around. I am highly satisfied with Guerlain's Vetiver Sport aka Frozen Fragrance/Eau Glacée. But that is dicontinued. Prada's Infusion de Vetiver contained too much “Infusion” and not enough vetiver to be counted in (also discontinued btw). Carven's “Vétiver” with its modern, puristic appeal could go as a light vetiver – at least compared to “Le Vétiver” from the same house. But the only comparable fragrance that comes to my mind is Annick Goutal's new „Les Colognes – Vétiver“ . One has to criticise that the original vetiver was discontinued with the launch of the light version. I really would like to promote Encre Noir Sport and this more than scarcely filled niche of light vetivers. Encre Noire Sport could be a discreet companion to those who appreciate the minor forms within in the world of perfume. The more I wear this, the more I love it. It's a great scent, definitely a must have.